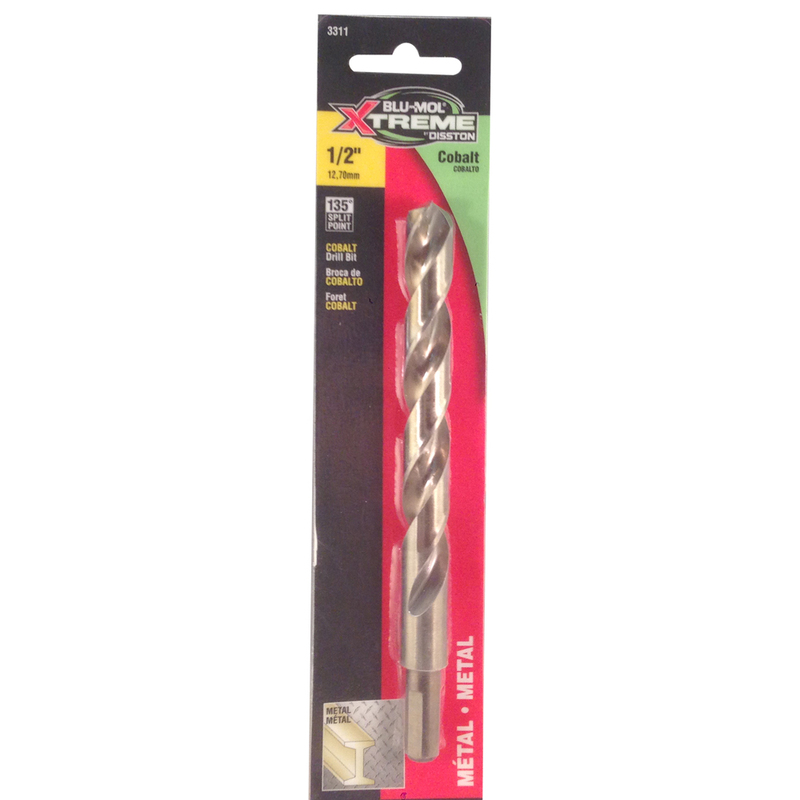 Blu-Mol® Xtreme Cobalt M35 drill bits provide superior specialized performance needed for extreme high heat encountered with drilling in hard metal, heat-treated steel and stainless steel. Three flat shank stays securely gripped in drill chuck. 135° split point angle allows faster aggressive cutting. Quad Point tip design starts on contact without walking. 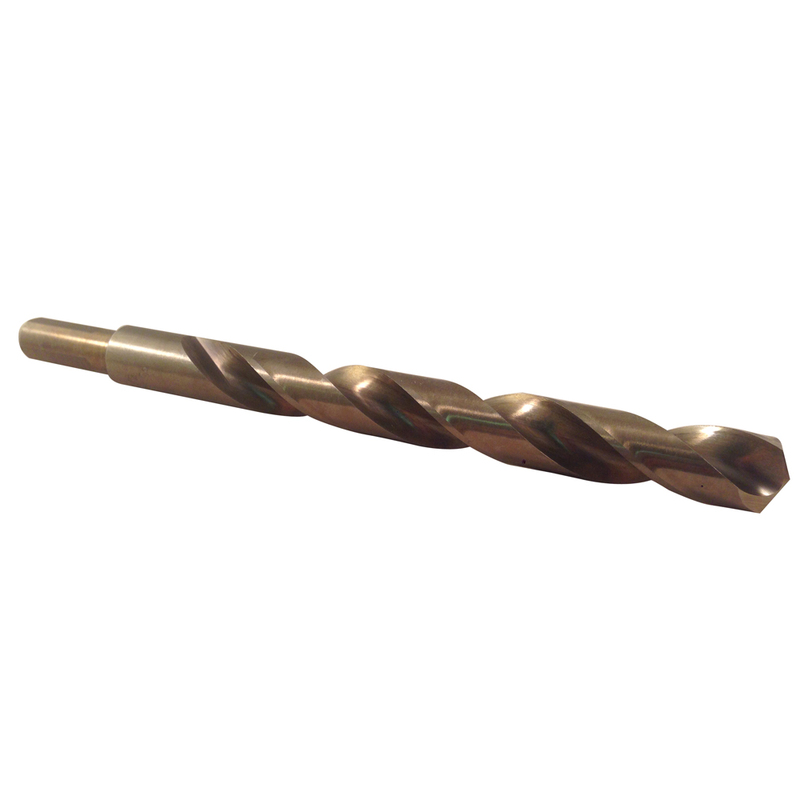 M35 high-speed steel with 5% cobalt content for strong durable performance in hard metal drilling applications.